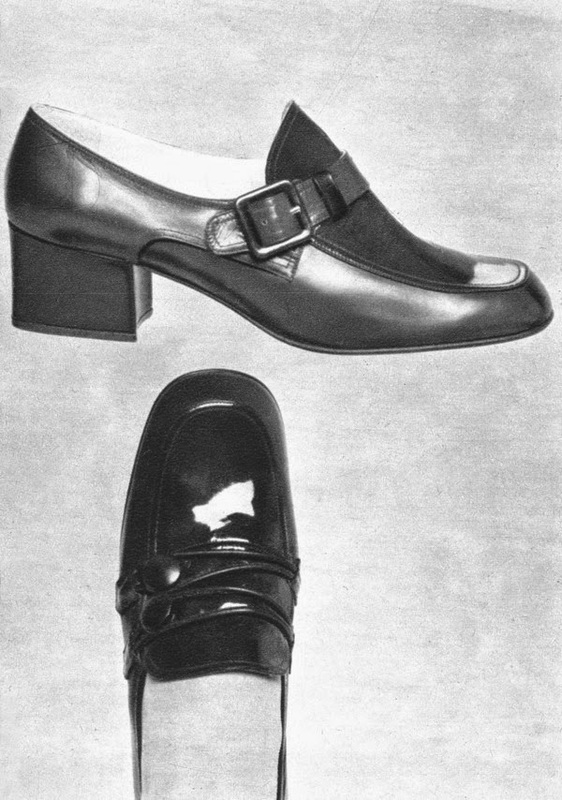 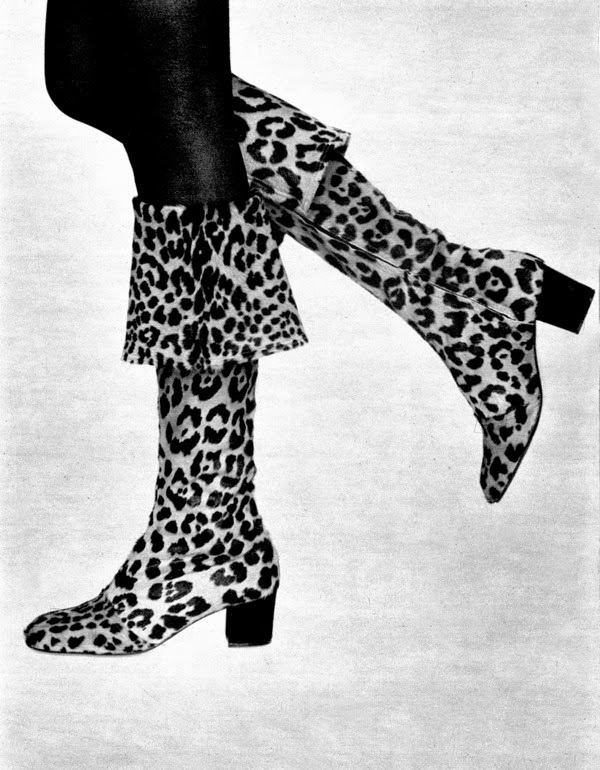 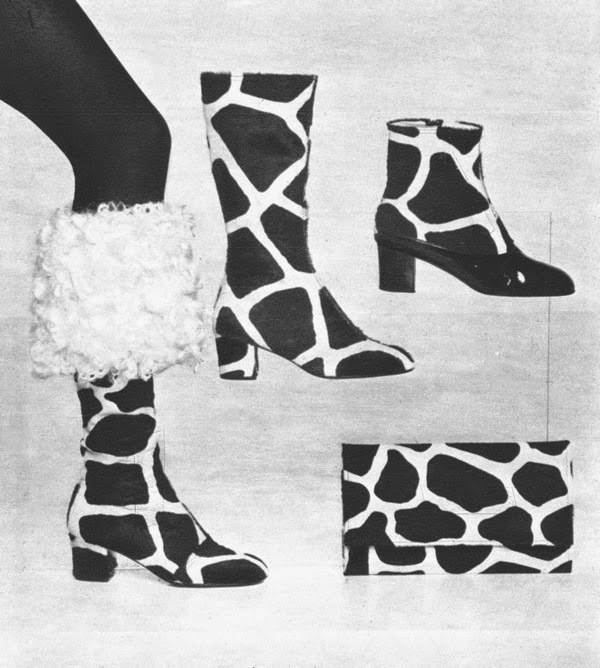 Dopo la fugace sperimentazione del Corfam, Andrea Pfister ritorna all'utilizzo dei materiali tradizionali con questa collezione disegnata per l'autunno/inverno 1970. 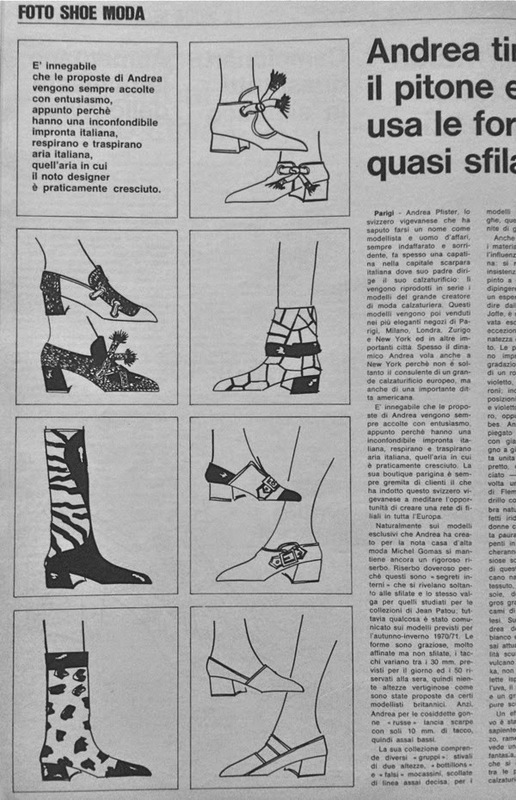 Collezione ispirata a "La Bella E La Bestia" e ormai quasi dimenticata. 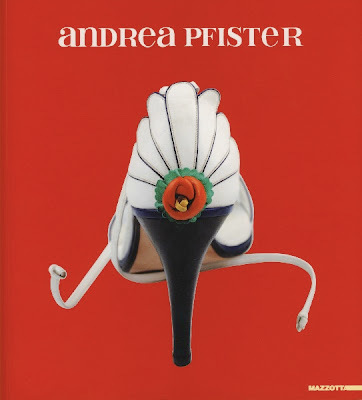 Right after the Corfam experiment, Andrea Pfister returned to traditional materials with the 1970 F/W collection. Inspired by "The Beauty And The Beast", is a work almost forgotten. 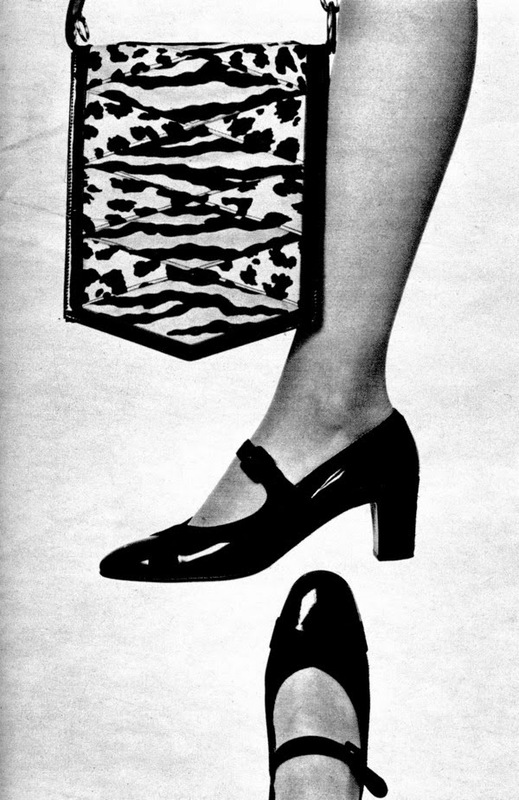 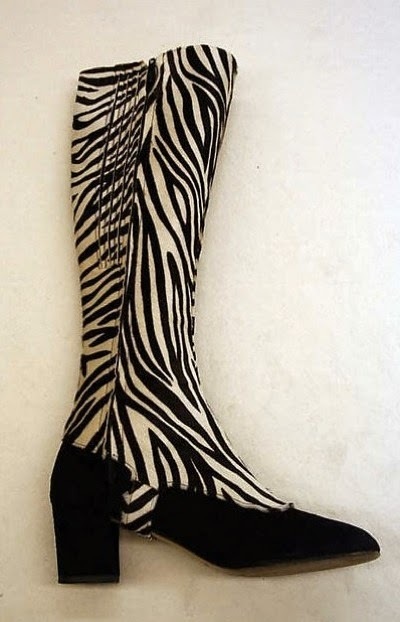 The zebra themed pattern was also hinted with the S/S collection of the same year. 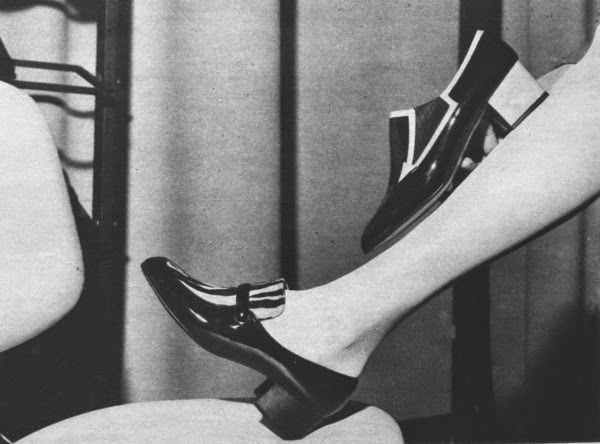 Actually a few models might had been manufactured with Du Pont's Corfam but the source remained vague about it. 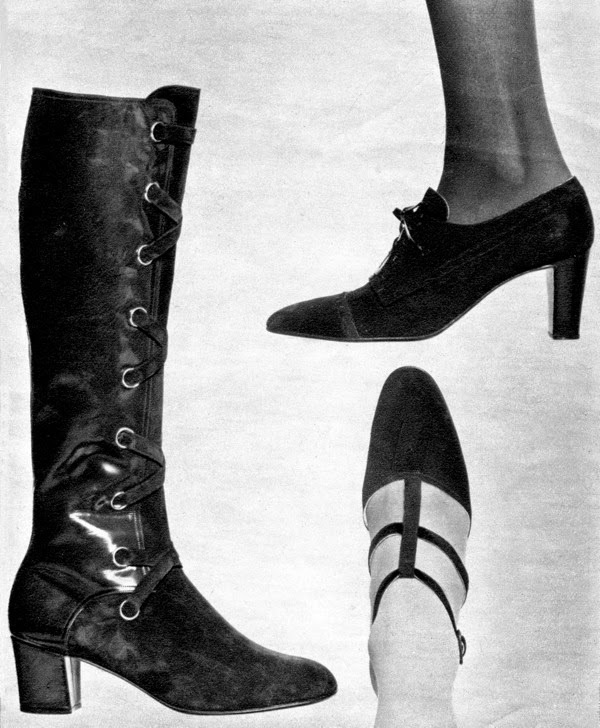 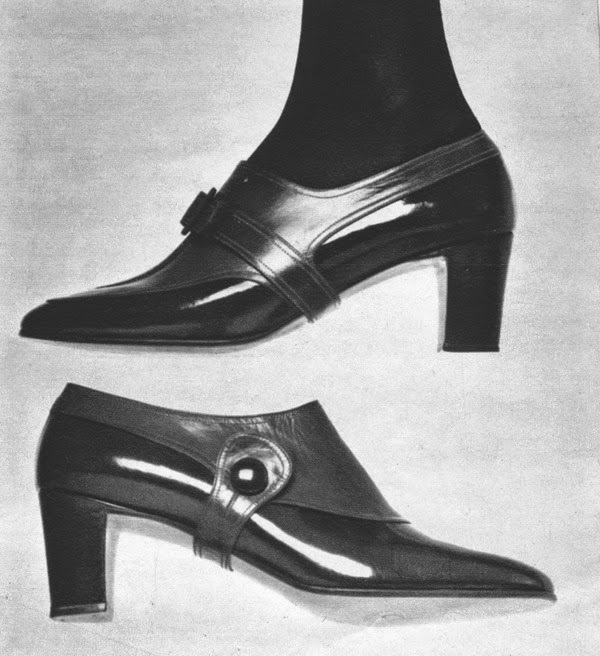 A synthetic leather boot, from the MET museum, seems to belong to this collection (see third photo from top) even though it's dated ca. 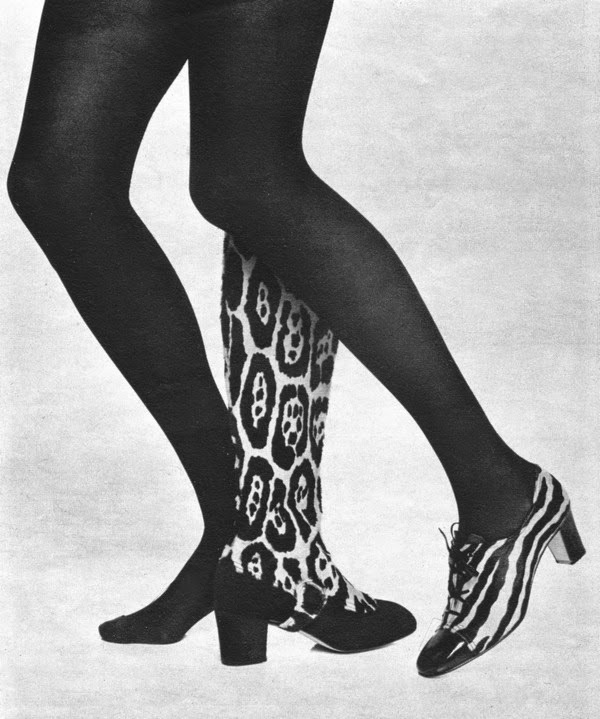 1967.